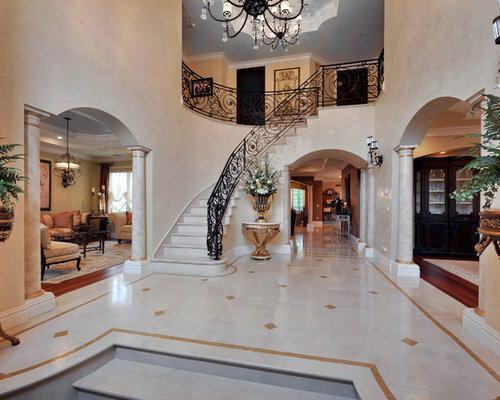 Formal Home - European elegance. 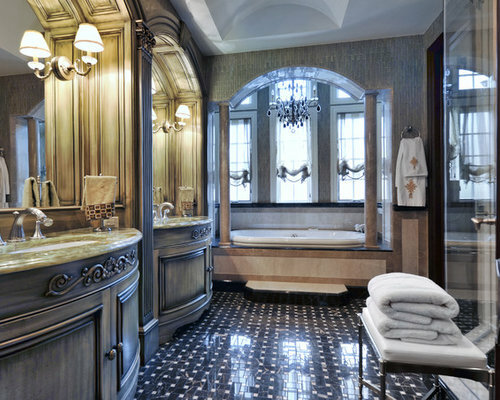 High end finishes, custom furnishings, truly a star! A master bedroom fit for a queen. 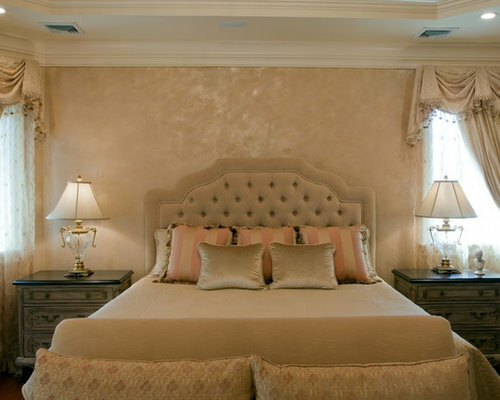 Custom upholstery and drapery in ivory silks and velvets, accented with blush tones. Amaxing faux finish in blush tones, and gold leaf for the center dome ceiling to highlight the crystal chandelier. 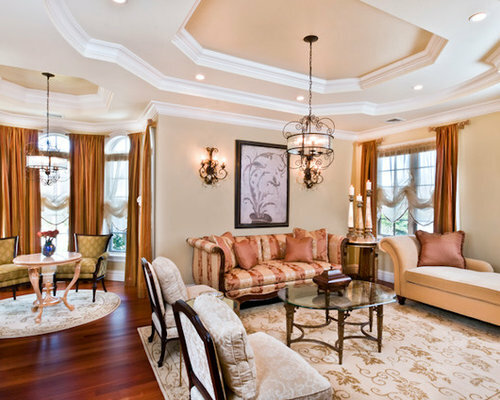 European elegance is the main theme in this formal Living Room. The ceilings are a great backdrop to these beautiful wrought iron and glass light fixtures. 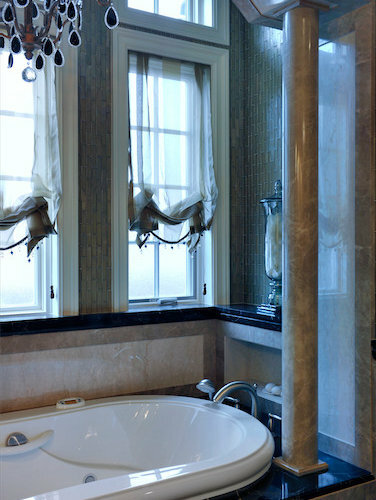 The custom drapery is so elegant as well as the custom rugs. 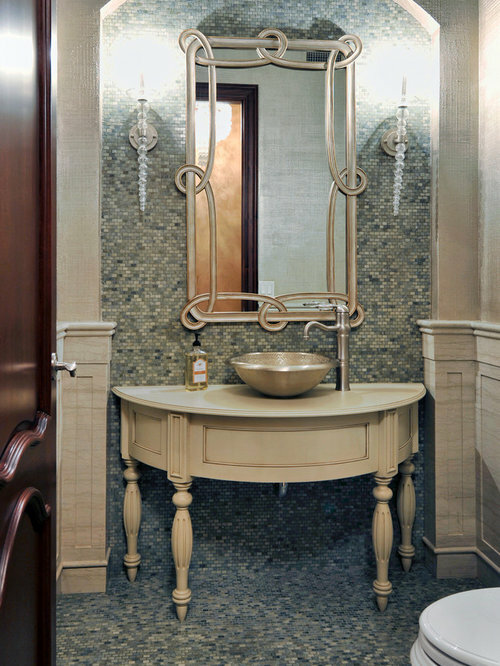 We used a beautiful color scheme of rich corals, golds and greens to achieve this luxe look! 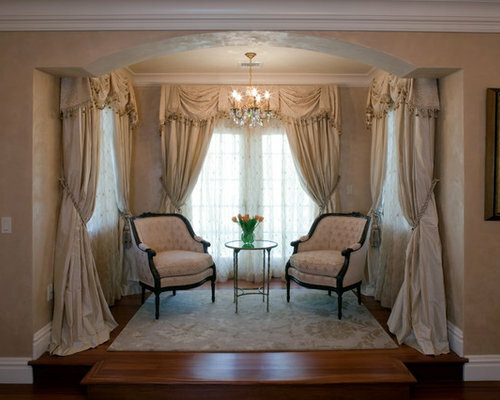 The glamorous sitting area of a beautiful master bedroom. 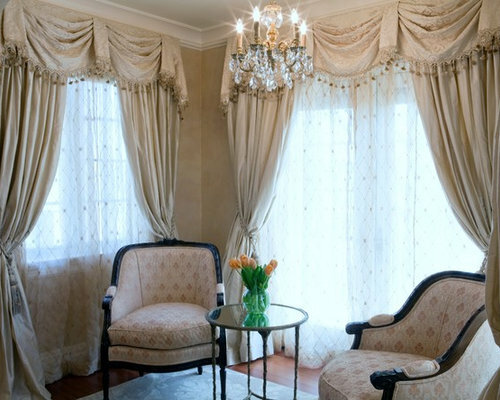 Lucious Ivory silk drapery and embroidered sheer with pearl detail make this space so special and unique. 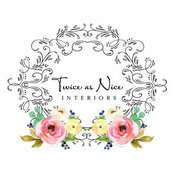 Feels like the ultimate bridal suite- only the best for our clients!